Bioengineers need a thorough grounding in biocompatibility - the biological performance of materials. Until now, there were no publications suitable for a neophyte in the field; prior publications were either not comprehensive or focused on rather narrow interests. Drawing on the author's 35 years of experience as a teacher, researcher, and consultant in biomaterials science and engineering (BSE), Biological Performance of Materials: Fundamentals of Biocompatibility, Fourth Edition focuses primarily on principles of biological performance at a relatively fundamental level, analyzing interactions between living organisms and nonliving materials used in medical devices - the subject that sets BSE apart as a distinct field of investigation. 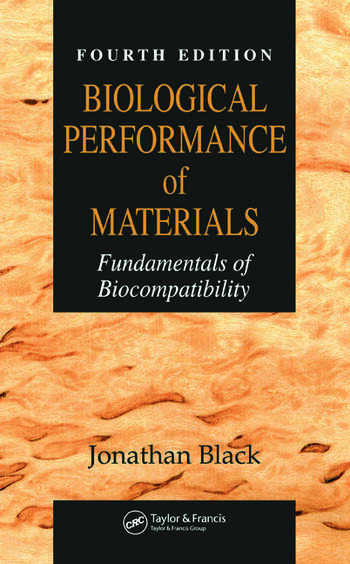 Following an introductory section, the book is divided into three sections: the material response to biological systems, host response to biomaterials, and test methods for determining biological response in vitro as well as in animal models and clinical settings. Supplemental "Interparts" summarize the physical properties of commonly used metallic, polymeric, and ceramic biomaterials. They also provide a guide to understanding the clinical performance of implanted biomaterials.